Elemis is another brand which I always look to for skincare, or when my skin is having a bit of a meltdown. Their Fresh Skin cleanser (the blue one) is my go to cleanser, so much so that I stock piled it when it was on sale this Christmas and I now have a draw full for when, god forbid, I ever run out. So when Elemis sent me this Fresh Skin care package to sort my skin out, I was over the moon. One of my New Years resolutions this year was to invest more in my skincare, not necessarily just money but time too, and finally get my skin sorted out and the Elemis Fresh Skin range has definitely helped me out in reaching this goal. Make-Up Away cleansing wipes* - I know, I know...the skincare junkies among you will be crying at just how bad these are for your skin, but I only use these to initially remove my make up, which in my mind, lets my cleanser do it's work better on my skin if it's not tackling make up as well. The thing I like about these cleansing wipes are that they are gentle on my skin. I have quite sensitive skin and often find that make-up wipes can dry it out or irritate it. The Elemis or Johnsons ones are the only ones I can use. 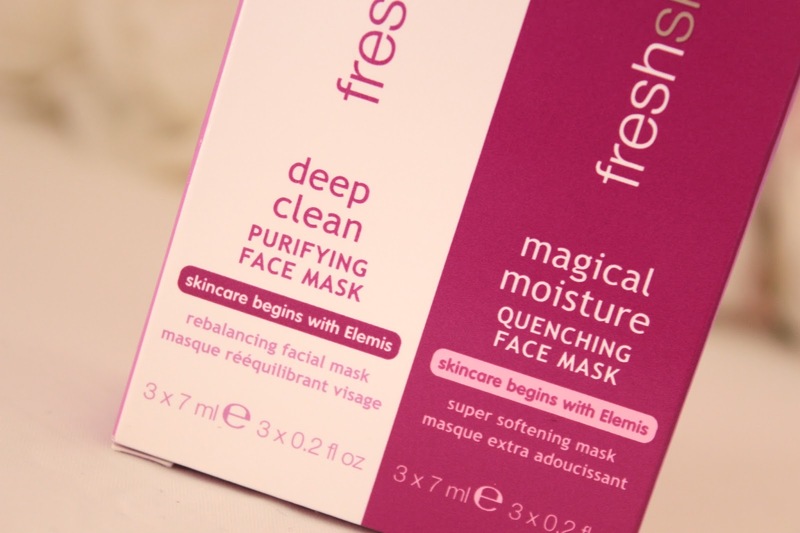 Peachy Perfect Gentle Face Wash* - After removing my make up, it's essential that I use a good cleanser to properly unblock my pores and prevent any nasties from appearing on my skin, and the Elemis Peachy Perfect wash is perfect for this. This leaves my skin feeling soft and smooth and is gentle enough to use on sensitive skin, so it's perfect for delicate teenage skin. If you have super oily skin, I think it would probably be best to go for the one that comes in the blue bottle though, but this one is great for anyone who suffers with dry skin, like me. Super Boots Moisturising Serum* - My skin is often quite dry, so it's essential that I use a great hydrating moisturiser, or it'll be flakes galore on my face. However, as I'm also quite breakout prone, I have to be careful not to use anything too heavy as it will just clog my pores and make my skin worse. So this little Elemis serum has helped me a whole lot. It's super moisturising, light weight formula is perfect for my problem skin and I haven't had any flaky patches since I've started using it. Deep Clean Purifying Face Mask* - I received this face mask in a little sampler set with the next face mask I'll be talking about, but as they are both very different It makes sense to review them seperatley. I think getting a little set like this one with both a purifying mask and a moisturising mask is a great idea for people with combination skin like mine, as it can tackle both the breakouts and the dry patches. The Deep Clean Purifying Face Mask is a clay mask which sets on your skin and helps to draw out impurities from deep within your pores. It contains a blend of natural clays, Goji berry extract, and frankincense oil to draw out impurities and Vitamin E to help soften your skin afterwards. I can also definitely detect a slight scent of tea tree in this mask, which is great as tea tree is amazing at clearing spots and acting as an anti septic. I really like this mask, it goes a long way to help clear up my skin but it also doesn't make it dry or react with my sensitive skin, something which is often hard to find with a purifying mask. Magical Moisture Quenching Face Mask* - Unlike the purifying face mask, this mask is more of a very thick and rich cream with you apply to your face. Essentially it doesn't set like a regular clay mask. This mask contains white lupin, arctic cranberry seed oil, and apple extract to rehydrate dry skin. I tested this out when my skin was going through a very dry patch and I have to say it worked really well. Usually when my skin has reacted to something, making it very dry and itchy and generally uncomfortable, nothing helps. This mask helped to soothe my dry skin and inject some life back into it, my skin felt instantly more comfortable and the flakies were instantly reduced. I'm going to stock up on some of these so I have a sachet handy when my skin goes through another rough patch! Loving Lips Quenching Lip Balm* - If you read my blog regularly, then you'll know that this little beauty was featured in my most recent favorites post, and with good reason. The Loving Lips lip balm is a super moisturising and refreshing formula that comes in a squeezy tube with a slanted applicator. It has a mild minty scent to it, making it a refreshing change to the other sickly sweet smelling lip balms. And while they are great when you want a cute fun lip balm, it's not what I need when the office air con is making my lips drier than the Sahara. This balm also has a slight gloss to it, so on days when I', not really feeling lipstick or my lips are just too chapped for lipstick, this makes a great alternative although it is a clear balm. All of the products I've mentioned in todays post can be found on Elemis counters in select Debenhams stores or on Feel Unique HERE. Have you tried the Elemis Fresh Skin range? What are your favourite skincare treats to use when your treating yourself to a pamper night? I've had such great things about Elemis, but I'm so scared to step out of my usual skincare routine to try new things! I absolutely love the quality of your pictures too! 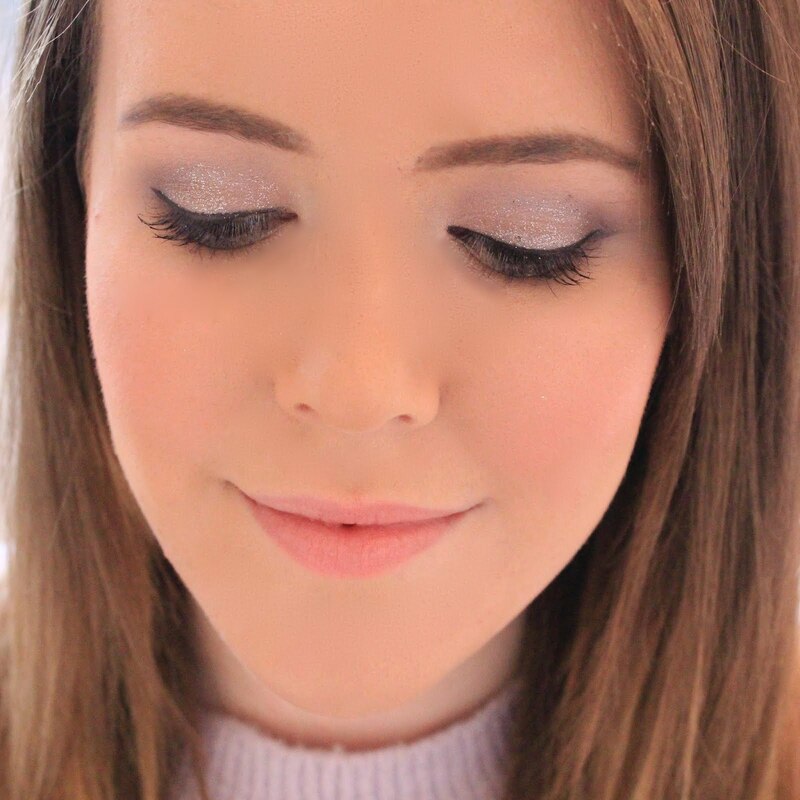 Thanks for sending me your link in last night's #bbloggers :) Following now so can't wait to read more! I haven't tried Elemis but it's one of the brands that I do want to try eventually. I am obsessed with skincare and I'm still trying to find the perfect products to use. I like the sound of the moisturising serum and the face wash.
Looks like some good skincare products and I would love to focus more on my skin. I'll have to try some of these. Lovely post. I'm looking for some new skin products so maybe this might be just what I need to try.